Never interrupt your enemy while they are making a mistake…. Pelosi is one continuous mistake maker…. And so wiser words have not yet been uttered. Right??? We want to keep winning here, so let’s stop and think it through a bit first before pushing for Pelosi to step down. Pelosi has a record of 0-4 on congressional special elections. The last election cost Democrats over $20 million from contributors in New York and the NE seaboard. So, there is quite a bit to thank her for isn’t there? Well, Trump thinks so and I agree. Check out what he said… his words, not ours. These comments were made during an interview with Fox and Friends, while they were celebrating Republican Karen Handel’s election victory. It was awesome. “They put everything into it. They had every consultant. They had agencies, advertising agencies. … Hollywood came out, and in the end, we won quite easily,” Trump said. He called the Democrats “obstructionists” and that their focus was set on opposing all his efforts to move the country forward and even suggested that these same Dems should be smart to do more with Republicans and stop being so destructive with their own country. “I honestly think they’d do better at the polls. I think that the American people are tired of obstructionists,” Trump said. 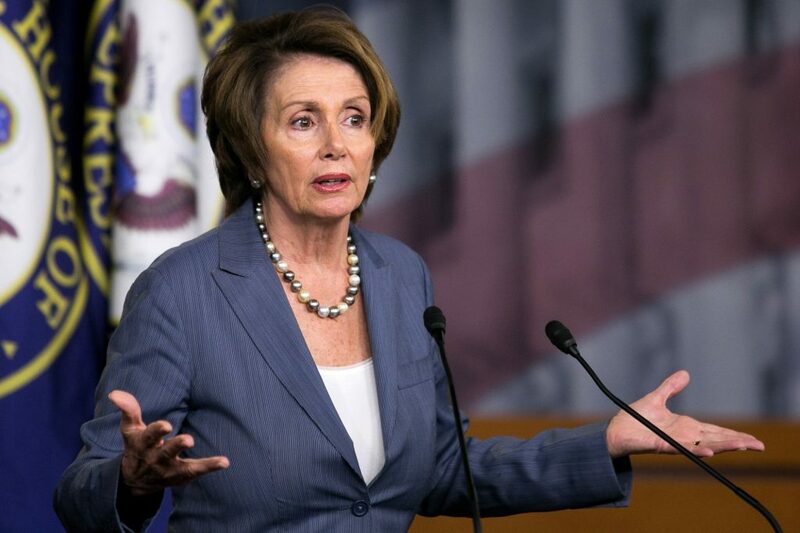 If the left wants to replace Pelosi – their problems will just get worse. The younger Dems in office are even more left than her. Ossoff – regardless of claiming to be centralist – wouldn’t have been any more right than Pelosi is if he had been elected. The success that Sanders had proves that young Dems are full blown socialists. It’s all very easy to see.